The PowerGo Jump starter is an ultra compact travel jump starter that doubles up as a phone and laptop charger. 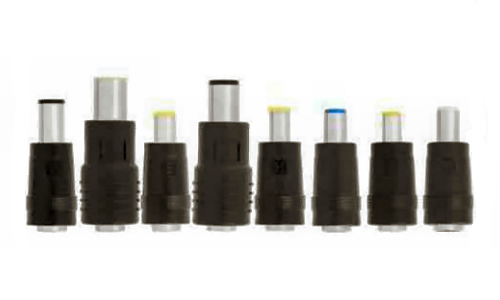 It comes with unique safety cables designed to prevent current from flowing back to the charger after the vehicle has started. 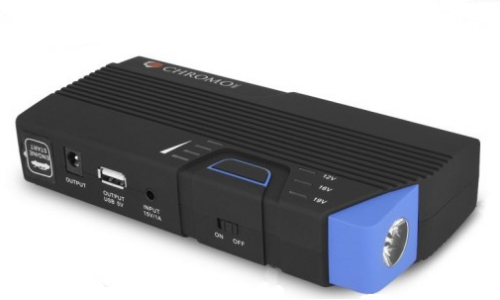 It’s priced around the same as other lithium ion jump starters, with similar specifications. Unfortunately there are a few issues that have led to this particular jump starter performing the poorest in our customer satisfaction survey, see below for more on this. For more information on the manufacturer of this model see our Chromo Inc page. We’ve analysed every PowerGo customer review we could find and collated the statistics into the following chart so you can see at a glance how the PowerGo is rated by actual verified owners. These reviews were collected from large online retailers and totalled over over 100 individual reviews from actual verified PowerGo owners. If you have browsed our other Lithium Ion Jump Starters, you will probably recognize quite quickly that the customer satisfaction for the PowerGo is noticeably less impressive than other alternatives. 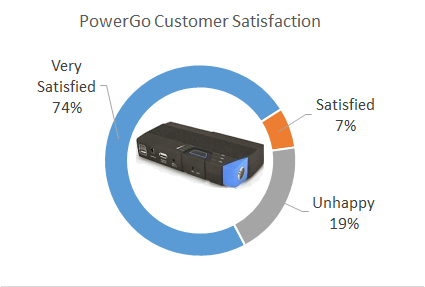 With almost 20% of customers unhappy with their PowerGo purchase, there is something very wrong with this jump starter – and we reveal those issues later in this review. 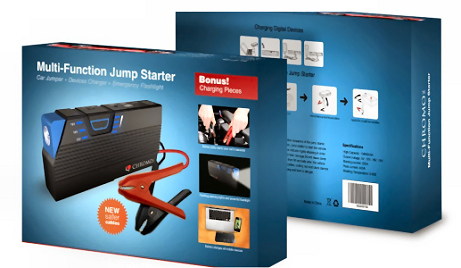 What’s Special about the PowerGo Jump Starter? So, apart from a poor customer satisfaction rating, what makes the PowerGo “special”? There are actually three redeeming features that make this jump starter stick out amongst the competition. 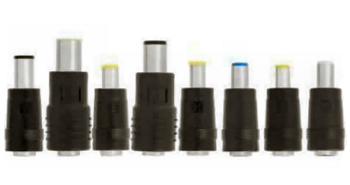 The first is the manufacturers claim that they include the safest jump start leads used in lithium ion jump starters. This is thanks to a safety feature that will prevent power flowing back to the charger once the engine has started. Chromo Inc. call this feature “No Recoil”. The second feature that makes this a stand out jump starter is that is boasts the highest capacity battery, with 13,800 mAh. This exceeds even our favorite’s capacity, the PowerAll! 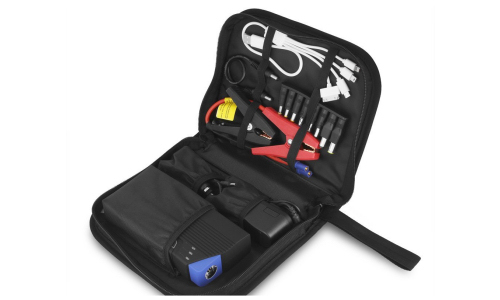 Finally, although other jump starters will charge gadgets and accessories, and will even come with a range of adaptors, the PowerGo comes with a wide range of laptop adaptors such as we have not seen with other jump starters. 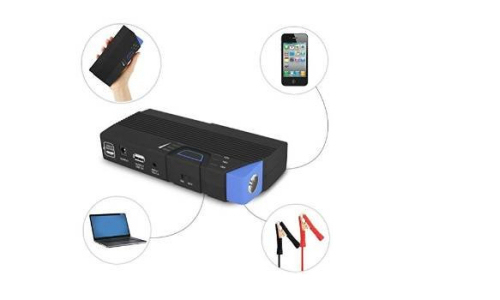 Considering the large range of laptop adapters, this particular jump starter will be a favorite of anyone who travels a lot and is fed up with their laptop running out of charge! The safety feature may also be a draw for the more safety conscious motorist looking for maximum protection. Slightly heavier than other similar jump starters, but still incredibly light. Fast charging, so always ready for action! Handles just like a torch thanks to handy size. 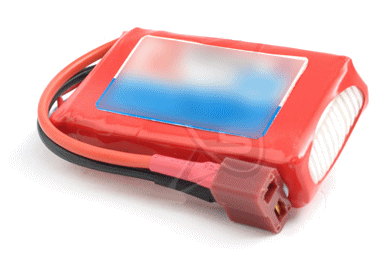 As stated above, this particular jump starter has some poor customer feedback, in fact possible the worst customer rating we have seen for a lithium ion jump starter – and the reason became clear when we started investigating the reason for this. Please read the results of our investigation in reliability issues with this jump starter below. The PowerGo has a limited warranty of only 30 days, compared to the Brightech Scorpion which has a 3 year warranty. Reports of the battery swelling and bursting the case. This can be due to the type of battery used, as these are Li-Polymer batteries which can be known to swell. Can the PowerGo power a laptop? Does it charge all makes of laptops? The PowerGo uses a 3 cell lithium polymer battery, similar to the one shown below. This will charge the laptop battery but will not work as a power supply. Although we like the fact that the PowerGo comes with a suite of laptop adaptors, and that they have provided safety jump start cables, there is no escaping the number of issues users have had with the PowerGo. 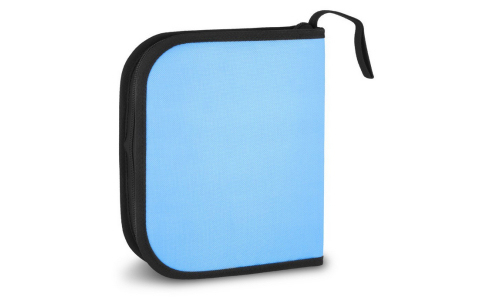 Either it does not hold a charge, or there is a danger of it swelling and becoming hot. For that reason we find it difficult to recommend this jump starter. For a similar lithium ion jump starter that does not suffer with the safety concerns of the PowerGo take a look at the PowerAll. Product is pretty amazing however I can’t seem to get the SOS lights to work properly and there is no adapter that fits my laptop. 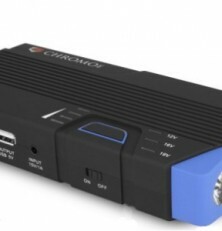 I’m pretty impressed because it not only can jump a car, but it’ll power just about any device you have all while being able to fit in your glove box! Thanks for the warnings, I’ll be giving this one a miss!